Street protests in Senegal did not translate into full-scale uprisings. High unemployment and expectations among a bulging youth population, cost of living pressures, aging long-time rulers and government that is unresponsive and unrepresentative. The coexistence of these factors helped drive the 2011 uprisings in North Africa. 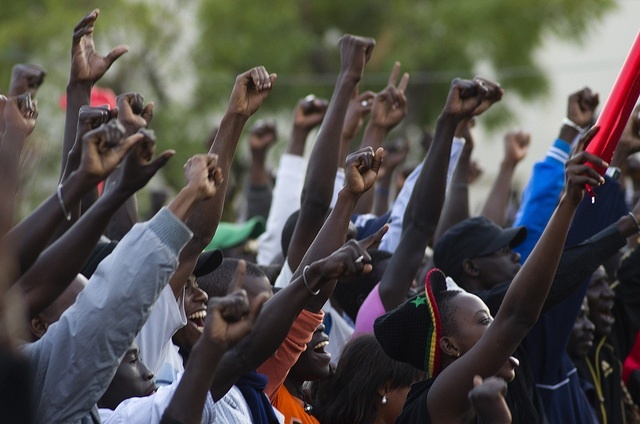 In varying degrees and combinations, they are also evident across much of the rest of the continent, generating, over the last year, a mini-literature on the prospects for equivalent protest movements and moments in sub-Saharan Africa. Broadly speaking, and perhaps with the possible exception of Sudan, it will remain too simplistic to argue that by analogy to the Arab Spring or some more direct “contagion,” sweeping social protest and political change are inevitable and imminent in sub-Saharan countries. This is even true—and in some cases especially so—in those settings with very little pluralist democratic space. Drivers of unrest and avenues for unrest are distinct; the fact that all the ingredients for mass discontent are ostensibly present in Cameroon, for example, does not make popular revolution there a foregone conclusion. Moreover, Mali’s experience in 2012 provides a caution against blank assumptions about popular resistance to autocratic elements: there we have recently seen a crowd demonstrate in support of a military coup against a democratic and relatively benign administration. The first point to make is thus a general one: the limited utility or viability of making comparisons between regions and countries, whatever the shared ostensible drivers of discontent. The context for political mobilization and its forms differs markedly between sub-Saharan African countries. Niger and Nigeria have entirely different dynamics and democratic currents; insights on Mali are not necessarily of much use in anticipating outcomes in Malawi. It is true that ideas and examples now spread more quickly, and that the Arab Spring certainly both unnerved less legitimate authorities and inspired activists across sub-Saharan Africa. However, country-by-country analysis will continue to be more useful than broad-brush comparative efforts—including the present one. The second point to make is that prevailing claims that many African polities face an inevitable “Tahrir Square” phenomenon overlook the fact that despite ongoing rapid urbanization, most African populations remain predominantly rural. Meanwhile, educated, newly “middle-class” urban dwellers, are not necessarily interested in what it takes to displace incumbent governments. Like the middle classes, social media played an important role in Egypt’s revolution. However, while mobile technology has spread exponentially in sub-Saharan countries, average Internet penetration rates are still generally very low (below or around 10%). Although mass access to the growing fusion of mobile and Internet technology will steadily transform African political landscapes, radio broadcasts are still the primary source of news for most people on the continent—and relatively easy for more autocratic regimes to control. It is too simplistic to assume that Africa’s exponential growth in mobile phone-based banking—and the financial inclusion it portends—necessarily translates into similar advances in communicating political ideas or in greater political inclusivity. Initiatives to increase Internet access—such as the World Bank’s Kenya Open Data Initiative launched last year, or Google’s 2011 Orange deal across Africa—will not necessarily promote Egypt-style protest movements for at least two reasons (other than the time it will take for more universal access to these services). Such initiatives may make it easier to view government information, empowering civil society groups and political parties to make more coordinated campaigns—but if so, this trend would point to formal rather than street politics as the main avenue for growth in political expression. Moreover, authoritarian forces can also use the new technologies to monitor or discredit opponents. Where this fails, blunt and more familiar techniques still work in physically smothering dissent without provoking further outbreaks. A third important, perhaps obvious, distinction is that unlike the North African countries, democratization of one form or another had come to much of sub-Saharan Africa in the 1990s: in general, although there is widespread dissatisfaction with corruption, poor service delivery and infrastructure, and growing social inequality, there is not the same long-term democratic deficit or ready constituency for change as that which fuelled the Arab Spring. Take South Africa: its youth unemployment rate suggests that in theory the country should be ripe for widespread, sustained mass protests. This time last year, many local commentators made the too-easy leap from “joblessness” to “imminent unrest”. Yet a much-publicized “economic freedom” march last year on the Johannesburg Stock Exchange and Chamber of Mines yielded a crowd only a fraction of the size and intensity that black South Africa’s massed public is historically capable of. This is partly explained by the particularities of ANC politics and personalities (and municipality-level protests are increasing), but it also reflects that South Africa is a democratic country with ample party, union or other avenues for free political expression. African democracies from South Africa to Senegal (where robust youth-led street protests in 2011 did not translate into full-scale uprisings, despite some analysts’ predictions), the multiparty landscape is different, but there is still sufficient faith in public institutions that the medium-term prospects of any wider popular uprising are weak. In autocratic countries, other examples show that for reasons other than (often very real) fear or futility, sub-Saharan populations make different calculations that do not necessarily point to Arab Spring-style uprisings. Angola’s democracy is highly dysfunctional and its social inequalities are highly visible—yet memories of its long civil war are still one important factor preventing recent urban protests from spreading into Luanda’s slums; many urban Zimbabweans appreciate the existing political compromise and understand that mass protests could provide a pretext for overt military rule in the name of “restoring public order”; the reason Swaziland’s 2011 fiscal crisis did not lead to mass uprisings in Africa’s last absolute monarchy is not only that the authorities tolerate no dissent, but also because most Swazis are socially conservative and reluctant to challenge the royal household and traditional leaders in overt ways. (Attempted) revolution of some sort may be a matter of time in more politically austere settings from Ethiopia to Equatorial Guinea, but if this occurs it will not necessarily manifest as popular uprising; since independence Uganda has never experienced a peaceful transfer of power, but when the current president finally leaves office, it is far from obvious that the mass popular will (through the street or ballot box) will be the cause. 2011 was marked not only by the Arab Spring but also by the “Occupy” movements in many major Western cities. The phenomenon sparked few, if any, analogous events in sub-Saharan Africa. Social protest in Africa is more likely to revolve around land or extractive sector schemes (in rural areas) or cost of living, electricity and other services, and high-profile instances of corruption or abuse (in urban centers) than around the more structural reform agenda discernible in the “Occupy” movement. Even so, as I argued elsewhere, Tony Blair’s claim that Africa is now entering a “post-ideological age” is surely wrong. The terms on which national wealth is extracted and exported, and the role of the state in the national economy, remain deeply politicized issues in more mature economies like South Africa’s. The overall ‘national idea’ for how countries should grow and share their wealth is far from resolved in other evolving export-driven African economies. In this sense a generalization is possible: political change in many settings in sub-Saharan Africa will continue to revolve around contests, democratic or otherwise, for control of the state apparatus and, through it, economic opportunities. Social protests, sometimes becoming paralleling political ones, are likely to revolve around unmet expectations of populations who do not perceive a fair or sufficient socio-economic dividend from the prevailing political order. Great article! I and my professor had a discussion regarding why Sub-Saharan Africa was not as polarized, evidently shown by less demonstrations against autocratic regimes and growing inequalities in the region. Your article pretty much answered everything. Thanks a lot!